Digitisation of the UK television infrastructure will see the end of the analogue service by 2012. The terrestrial services are being replace by Digital Video Broadcasting - Terrestrial (DVB-T), this is the European standard for the terrestrial transmission of digital television. Digital free to air (FTA) television currently provides 35+ channels across most of the UK, user satisfaction will vary depending on location in relation to the closest transmitter. Freecom's Digital TV DVB-T is a terrestrial receiver & radio input adapter stick for PC's. 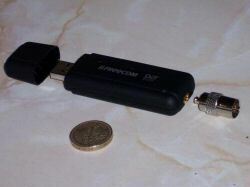 It is about the same size as a USB memory pen, making it the world's smallest digital TV and radio receiver, allowing access to digital TV and radio programs anywhere, subject to reception, topography, objects, weather and Freeview coverage. 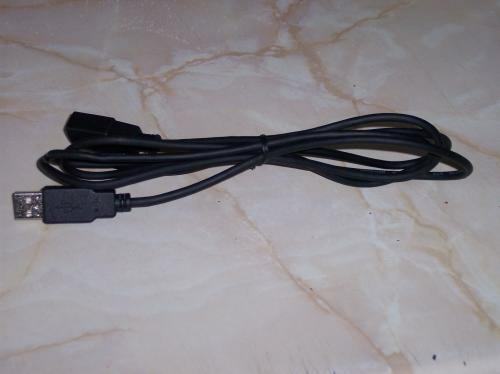 However most of these restrictions are resolved by simply connecting an indoor TV aerial into the adapter between the aerial cable and the stick itself. 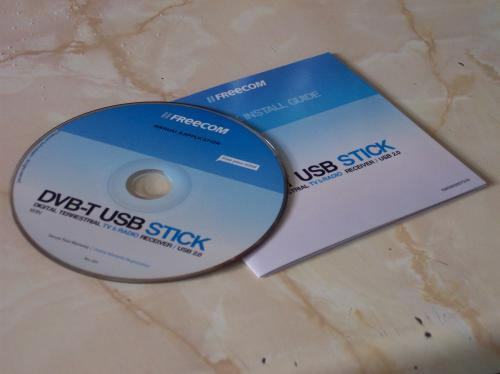 This stick probably won't fit into a back USB socket if the nearby one is in use due to its cross-section, but Freecom bundle a short extension lead. A complete substitute without adapters or subscription, enabling you to totally dispense with the need for that outdated and space-consuming television. 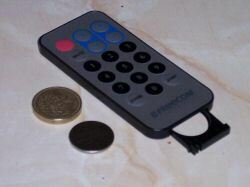 This little USB stick frees you from programming schedules as it allows you to record television on your hard disk so you can watch at your convenience. In the unlikely event you do not already have a TV license, purchase of this equipment will make this necessary. Fail to do so, and you risk a trip to court and a possible £1,000 fine and no one has ever successfully managed to dispute it. The application interface consists of a configuration & viewing program; the video is displayed in a standard window and there is an independent ‘remote' window with all the channel and video selection controls, which are also accessible from the video window via a popup menu. The video window can display any size up to full screen, between 4:3 for standard TV and 16:9 for wide screen movies, with a small loose of screen area, and stereo output, if the programme is transmitted in stereo. Hello! aaafcke interesting aaafcke site! Bought mine three years ago, some repositioning of the loft-space aerial run through a digital amplifier +16db gain (set to precisely +15.7db) gives flawless reception and recording of 23 dvb channels in up to 720x 576 resolution. Sweet as a nut on the old 40" LCD, setting screen res to 1920 x 1080 does allow full or half screen mode for when I want to watch "in the corner"
For the money I paid (40 poounds) I could not have asked for a more superior piece of kit for my PVR needs. File sizes are perfectly manageable (around 2Gb for an hour), and there's no tweaking needed unlike my last attempt using Hauppague which devoured HD space at a staggering 1Gb a minute!! All stories of poor or no reception obviously haven't installed the drivers correctly or are either overloading or underachieving the optimum digital amplification needed. 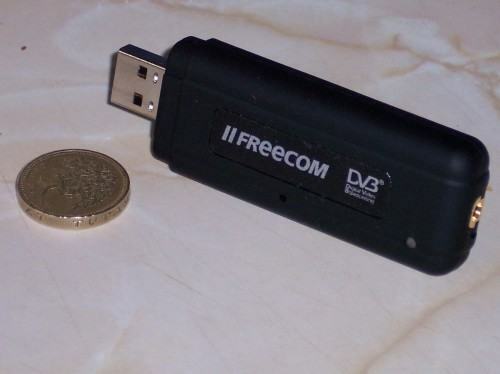 I Love my Freecom DVB-T. One minor gripe though - automatic daylight saving when the clocks go forward or backward will screw up your schedules as the TMMonitor seems linked intrinsically to the system clock - so be aware if you're recording a weekly or daily programme, you'll need to reschedule your recordings once the clocks have changed. The hardware is very good, though it does get very hot. It needs an adaptor to plug in the aerial which is bizare. The supplied aerial is useless. I have purchased a much bigger and amplified aerial which does the job where the signal is reasonable. The sofware is rubbish. The user interface looks antique and ill thought out. Where is the XP like update? The audio is not in a proprietary format, although it is true that if you record a radio channel the file you end up with can only be played via the software provided. In fact, all you need do is change the file extension from MPG to MP3 and Windoze Media Player will play it just fine. The packaged software is basic, clunky, and gives the distinct impression of being incomplete. Drivers are easy enough to install in XP, but rather hit-and-miss in Vista. Expect lacklustre reception in XP and worse in Vista (why the OS affects reception quality, I only wish I knew). Very slow to change channels; even slower in weak signal areas. Plugging into a roof antenna (making a mockery of portability) distinctly improves reception in XP - no such luck with Vista. Works rather well with Windows Media Centre (for the channels you *can* receive), and in Nero, but I'm now shopping around for an alternative. 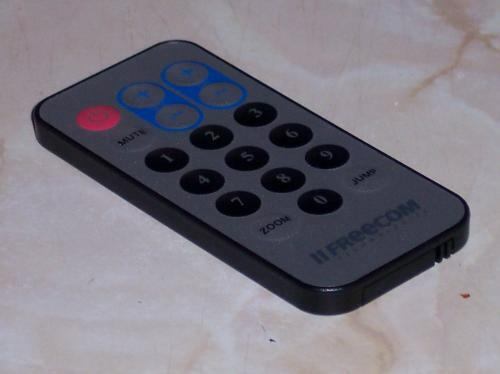 I would recommend buying another brand, as support requests that aren't ignored by Freecom are unlikely to be answered in a satisfactory manner. Unfortunately with this stick no VHF channels can be received. Been using this for about a month now. We live about a mile from the two regional transmitters so signal is exceptionally strong. 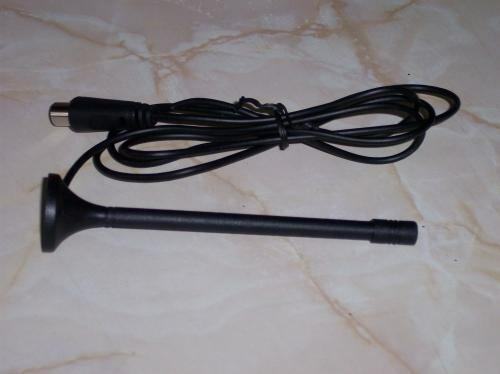 Even then the built in aerial was very flaky; throw it in the bin - I paid £10 for a small aerial with variable gain (from Tesco). Rather than the supplied software, I've been using the GB-PVR open source option with the updated BDA drivers (download not supplied) and a DVD authoring solution to put the DVRMS format files onto something our home DVD player will play. The end result is a really useful combination even if it took a little research to get all the software together. The alternative, I'd suggest, would be to pay for better PVR software. However, overall, this is an exceptionally handy piece of kit, giving very solid, good quality recordings/viewing. Great value having paid only £22 for it plus an extra £10 for the aerial. The software supplied is weak and the aerial is more or less useless. If going for serious recording activity, I'd recommend paying for a commercial authoring package - TMPGEnc DVD Author works very well and I'd probably favour it over several others I've trialled though it is pricy (good exchanged rate on USD though). To all those people complaining that they have a good signal but no reception: It sounds like your signal is too strong and is overloading the dvb-T sticks very basic amplifier (ie it can't reduce the signal enough so its clipping). I've encountered this problem with an MSI dvb-t stick. 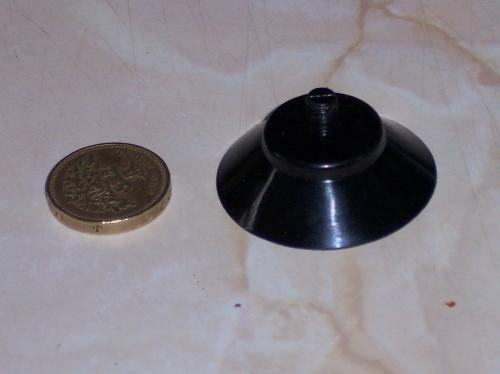 It worked great with a crap aerial but failed on the house loft aerial. 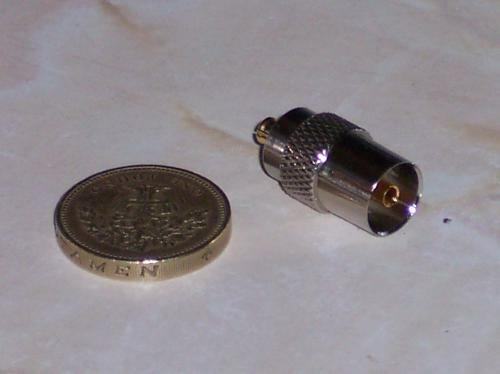 The solution is to get an attenuator or two to sit between the stick and the aerial line. In our house we needed to gang together two RF attenuators (a 12dB and a 6dB) before the stick would work. RF attentuators are available at maplins and cost a few pounds. Give it a go. Can be erratic. Used to work fine but moved to another flat with much better signal and is dodgy. Will locate all channels and if I scroll through the channels it'll display full signal strength and quality but not display any video. After going up 5-10 channels and back down the channels again it'll suddenly find the video again! I had similar problems with using the Windows Media Centre in Vista - found all the channels but only 4 would work. The rest never worked. The software that comes with it does not working with Vista. Generally speaking the software that comes with it is awful; I have trouble with nearly every aspect. Still it's better than any of the Hauppauge software I have used in the past. Absolutely useless. Not 1 channel and I am in a very strong digital area/city. I was able to just pick up 6 when scanning Germany??? Purchased a booster ariel but same result. Any ideas welcome. A good, clear, and well documented review. This product is stone deaf here in North East Hampshire where we are marginal signal on Crystal Palace, Midhurst and Hannington. It can't see a single channel, even when plugged into the same antenna as my Sony set-top box that has excellent reception on all Midhurst channels. 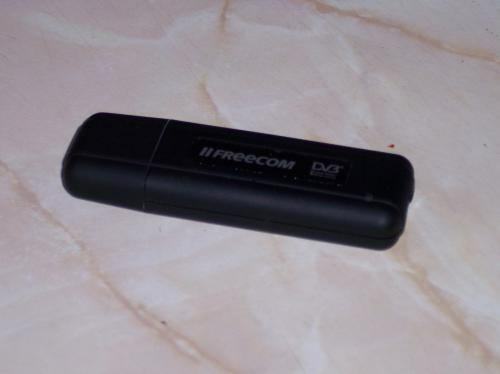 The Freecom DVB-T USB product is actually very good in my opinion, far better than the Hauppage products that I've bought in the past. The bundled software isn't very flexible. I wanted a small "always on top" window in the corner so I could watch TV while I was working. You can only have a full-screen window or a unsizeable window which is not very good. However, Buy DVBViewer Pro and these problems are eliminated. 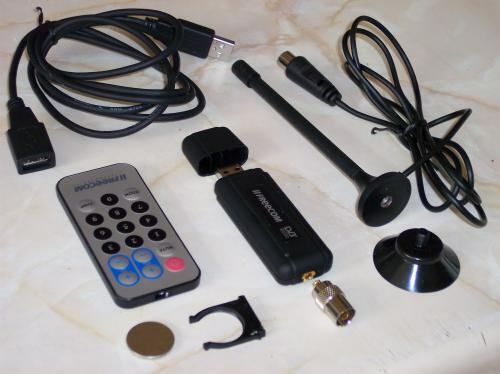 People grumble about the aerial and receiver not being able to receive very well. I can't comment as I haven't tried this, I have mine connected to a loft aerial. Buy DVBViewerPro for about 15EUR and this product becomes something superior and cheap for the price. DO NOT BUY THIS PRODUCT!! 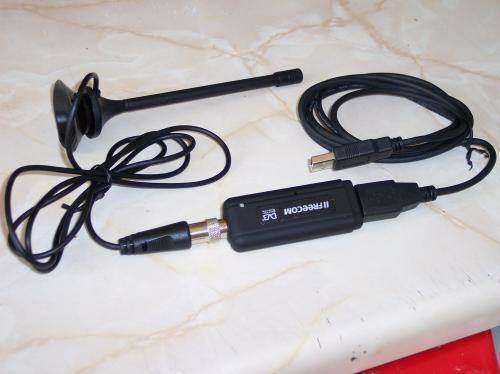 After spending £50 on this product and a further £30 on a amplified ariel to try and make it work, I still couldn't receive ONE channel - despite being in the strongest freeview area possible! This is a complete waste of money and time. I wish I'd never got involved. What a load of rubbish!!!! A very disappointed an angry customer! This work perfectly within Suse linux 10.1, kaffiene runs it sweet as a nut, excellent product. See http://www.acaciaclose.co.uk/16253/index.html even novices can follow his instructions. Bad connection with the aerial adaptor means it wont play anything unless you hold the adaptor at all times. Had 2 swaps and still the same. I have had some success in putting captured programmes onto DVD, to watch on the "proper" telly later. The capture files are MPEG 720x576. Free software such as VirtualDubMod can (with the appropriate codecs) open and edit the files. So can TMPGEnc from Pegasys, which is a popular "enthusiast" DVD authoring package. I have found that the final DVD video picture quality is excellent this way. However I have problems with the sound channel being out of sync, which I am trying to fix - see www.cdfreaks.com for more info. Works sweetas with Kanotix Linux and Kaffeine. not drivers or firmware to setup. just plug it in and go ! Picture quality in Linux beats the windows bundled software. Puts the windows software to shame. Wondered if there is any plan to upgrade software in the future with channel programming favorite number, interactive red button and uk teletext? Works a treat with SuSE Linux 10 and kaffeine. Totally agree. Awesome hardware (runs a bit hot) but cr@p software interface.